we are very happy to report that In Scena! is on the path of being SOLD OUT for most of its shows. This year we have some news: a conference, infosessions and PUBLICATIONS! 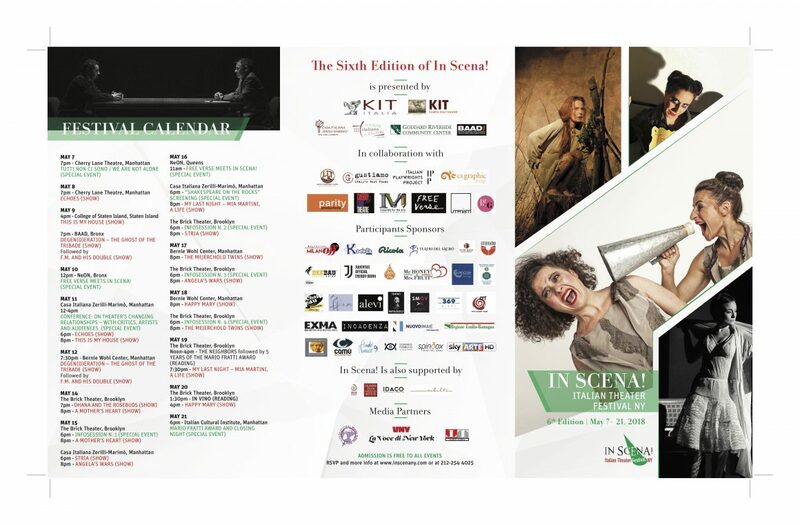 Check the program of the Festival at www.inscenany.com and come to see some great Italian theater! All in Italian with English supertitles unless noted.